Distribution areaThe so called Corn Islands are 70 km off the coast of Bluefields/Nicaragua. The Isla del Maíz Grande (about 6 sq km) and the Isla del Maíz Pequena (about 1.5 sq km). The distance between the both islands is 18 km. 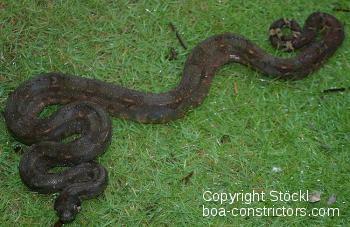 The Corn Island Boa is a dwarfish Boa c. imperator morph from the Islas del Maíz. The islands are covered with white sand and Coconut Palms creating a small Jungle like affect. Like most Islands in the Caribbean, the Corn Islands were devastated by Hurricane Joan in 1988. This storm shut down businesses and caused much environmental damage. It’s believed that similar storms in the very distant past are responsible for carrying Boas from the mainland on floating debris to neighboring islands. In the meantime the islands have become a National Park Preserve and collecting is prohibited in National Parks. Therefore export permits will never be granted again for these rare Boas. 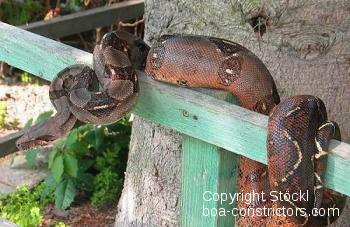 The Corn Island Boas are good feeders right from the start, robust in health and without doubt the best choice for the newcomer in the housing of Boa constrictor. 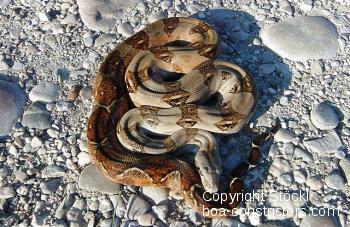 The scarcity of this variant makes it also interesting for advanced boa breeders. 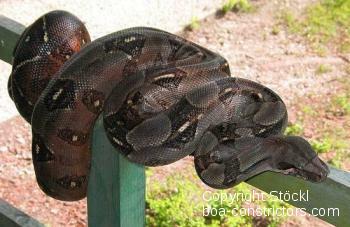 There is also a hypomelanistic bloodline of the Corn Island Boa. We are one of the few breeders in Europe who keep this special bloodline. 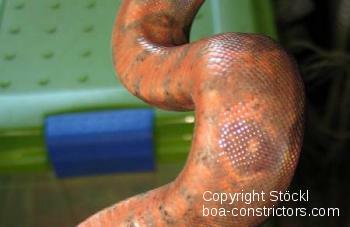 We call these Corn Island Boas Red Nics.